Included — Entrance to the Marvel Super Hero 4D Experience at no additional cost. "Excellent value for money and saves time queueing for everything! I highly recommend, will buy this deal again when I return next year"
- Visit five of London’s leading attractions and make huge savings by booking them as part of this low cost package deal. - Ideal for holidays, this package offers amazing flexibility. Pick and choose the dates that suit you, there's no need to visit each attraction on the same day. Take a ride around London on an iconic double-decker bus and see the very best this city has to offer while listening to insightful on board commentary. There are three separate routes to try which visit an array of attractions, landmarks and museums. The sightseeing cruise is also a fantastic way to travel through the city, particularly during the rush hour traffic. Make your way up the red carpet in style at Madame Tussauds London. Star in your very own film premier before stepping into David Beckham's boots for a shot at glory in a thrilling penalty shoot-out simulator. We also include entrance to the Marvel Super Hero 4D Experience at no additional cost. No trip to London would be complete without calling in at Tower Bridge. 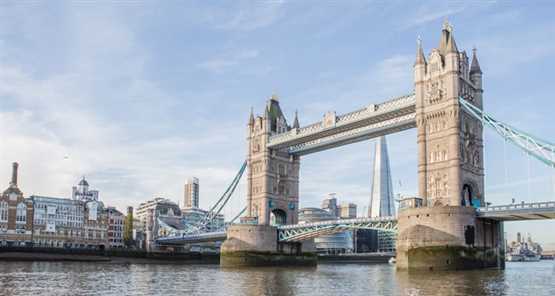 Explore this triumph of Victorian architecture with the Tower Bridge Exhibition which takes you through giant engine rooms, walkways above the river and a range of special exhibits. For truly unforgettable views of the city’s skyline head over to the London Eye where you’ll rotate one hundred and thirty-five metres above the banks of Thames inside a state of the art viewing capsule. London Silver Bundle: very good package price! Only disappointment at Madame Tussauds: 3 hours of waiting time (1 hour outside, 2 hours inside the building): only 1 of 3 counters open at the box office door 2! We did not utilise the tower exhibition because every people we ask doesn't know what we should expect from there. We don't know where to go! In Hindi we have a song that says "London Thumakda" meaning the joy, fun and Dancing London, and yes it indeed was with Discount London. The package was worth taking, saves our time and energy and off course money. The staff were polite and humble and are the best part. The route and travel plan was clear.